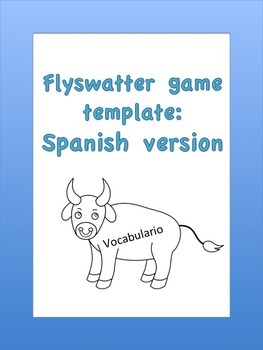 Create your own flyswatter game to practice the vocabulary you need with these Spanish themed templates. 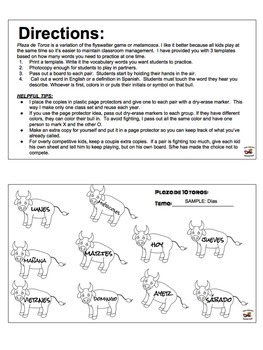 The file includes a 10, 15, and 20 word board as well as directions, classroom management tips, and a sample. This tabletop version is a great alternative for large classes because it allows all students to play at once rather than wait for their turn at the board! Each pair gets their own board and a marker. The first person to tap the word, writes his/her initials on it. 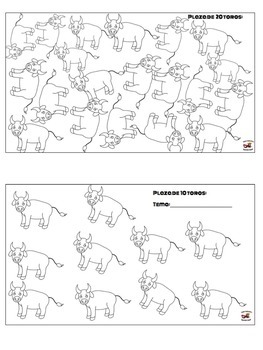 My students love it!